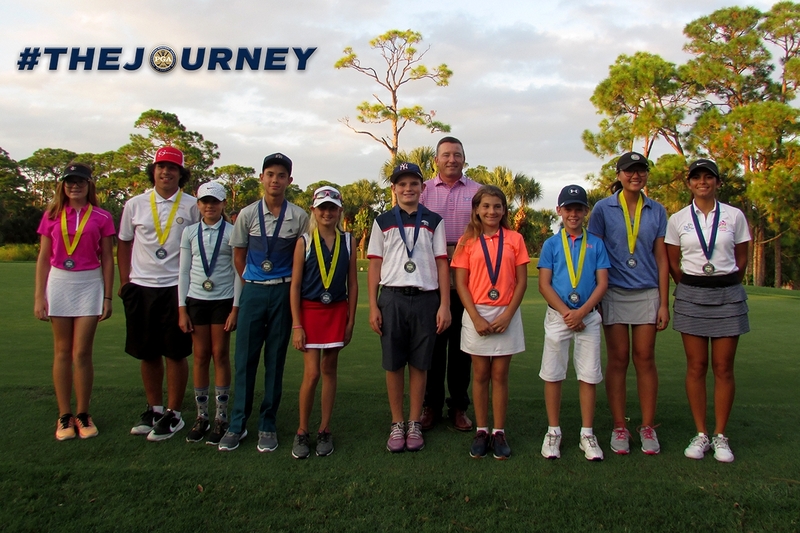 October 13th 2018 - Vero Beach, Fla. – Today, the South Florida PGA Junior Prep Tour presented by The Honda Classic held the eleventh Prep Tour Event of the 2018 season at Sandridge Golf Club. This event featured a field of 43 players aging from 9-18 years old. The juniors were focused in as they competed in the second to last event of the season before we crown the Player of the Year winners at the final event in a couple of weeks. Hampton Beebe of West Palm Beach captured the boy’s 9-10 age division shooting a round of 7-over par, 79. North Palm Beach native Wylie Inman was runner-up in the boy’s 9-10 age division with a round of 90. Tristan Weiland of Jupiter took home the boy’s 11-12 age division with a round of 3-over par, 75. Jupiter native Reid Korody finished runner-up in the boy’s 11-12 age division after a round of 5-over, 77. Sebastian Barcia of Miami captured the boy’s 13-18 age division in a scorecard playoff with a round of 5-over par, 77. Alejandro Arteta of Hollywood took home the runner-up spot in the boy’s 13-18 age division with a round of 5-over par, 77. Abigail Halpern of Palm City captured the girls 9-10 age division shooting a 105. Vero Beach native Laney Ryan was runner-up in the girls 9-10 age division with a round of 115. Layla Pedrique of West Palm Beach took home the girls 11-12 age division after a round of 85. Hobe Sound native Aubrey Pichler finished runner-up in the girls 11-12 age division after a round of 101. Camilla Ariano of Miami took home the girls 13-18 age division with a round of 90. West Palm Beach native Margie Lee finished runner-up in the girls 13-18 age division after a round of 91.